Girl, we are loving this crop top for every occasion. 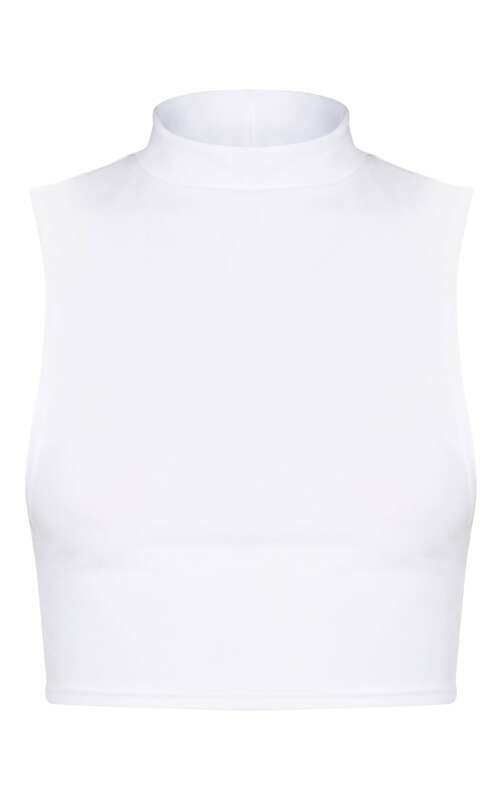 Featuring a white material with a high neck, no sleeves and a cropped length. Style this crop top with cargo trousers and barley-there heels, finish off the look with a bum bag for a look we are obsessing over.